Hospital scientists are using ground-breaking technology to help rebuild the faces of cancer patients, those hurt in accidents and people born with complex facial deformities. Hull University Teaching Hospitals NHS Trust’s reconstructive scientists are using 3D printing techniques to produce resin models of patients’ skulls. The models are then used to create titanium plates and implants used by maxillofacial surgeons and neurosurgeons to repair damage to people’s faces. Scientists and consultants have already used the technology to help a patient who has suffered serious facial injuries in a cycling accident, a patient with cancer of the nose and a patient with a large defect in their skull. Robert Goddard, Maxillofacial Surgeon and Clinical Lead, said the new 3D printing techniques mean the team can help people recover more quickly from devastating injuries and illnesses. He said: “By using these new techniques, we are now able to have a faster turnaround time to repair defects. This means our patients endure less psychological damage and can return to work and their social lives far more quickly. “For other patients who have a longer journey ahead of them, the models we can produce give them a better understanding of their injuries and why it may take time for them to recover. The scientists are part of the maxillofacial team, based at Castle Hill Hospital, to help patients with facial deformities, reconstruction of orbit or those needing reconstructive surgery after oral, head or neck cancers. 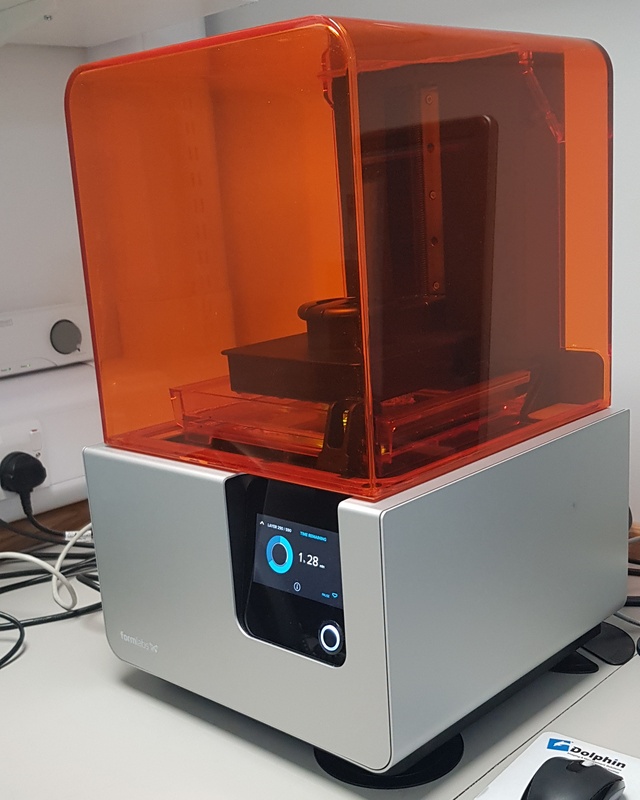 They took charge of the computer software programme (Mimics) and 3D printer earlier this year, one of the few trusts able to deploy the ground breaking technology. CT scans are used to create a 3D image on a computer screen, which the scientists overlay with mirror images to analyse the extent of the damage from both inside and outside the skull. The image is then sent to the 3D printer to produce the model, costing under £10 and often produced in less than five hours, in the lab at Castle Hill. Consultants and scientists then work together to determine the best solution for each patient, based on their condition and the extent of their problem. The new process eliminates the costly and inefficient previous process of sending CT images to Europe meaning any future changes due to Brexit will not affect services. Patients benefit from the new system because they spend less time on the operating table, meaning a shorter stay in hospital. As well as being better for the patient, the new technology is also saving the NHS money by reducing theatre time required for each person. Reconstructive scientist Helen Dehkordy, head of Maxillofacial Scientists, said: “We can now make 3D models right here in hours instead of waiting months for them to be produced and delivered to the trust. “Recently, a surgeon came to see me about a patient and we were still able to produce the surgical model two days later. Before we had this technology, just getting the model would have taken at least two weeks and that was for urgent cases. “Not only does this new technology produce better results for patients, it also improves their whole experience at what can be a very difficult and anxious time for them.